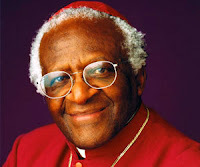 Tutu, speaking in response to the failure of SA government to provide a Visa for the Dalai Lama to visit South Africa before the Dalai Lama decided to cancel his proposed visit to the country, likened the present ruling party to the Apartheid regime of the past. Bishop Tutu went on to warn the ANC government that the must remember why they were put into power. ‘Just as the people overthrew the Apartheid regime, and the Libyan People overthrew Muammar Gaddafi just recently, the people will overthrow you too. Tutu further said. South Africa has been considered by the world as a prime supporter of freedom for oppressed people everywhere. 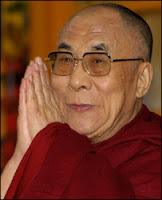 He further condemns government for failing to consider the oppression o the Tibetan people by China. "I am warning you, one day we will start praying for the defeat of the ANC (African National Congress) government. You are disgraceful. I want to warn you, you are behaving in a way that is totally at variance of the thing for which we stood." "'I am warning you that we will pray and ... we will pray for the downfall of a government that misrepresents us." 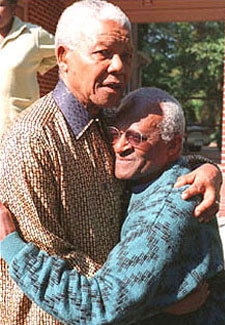 Former Archbishop Desmond Tutu was one of the Anti Apartheid Movements strongest and most outspoken supporters. Throughout the 1970’s 80’s and 90’s this world respected figure played a major role in bringing the plight of the oppressed people of South Africa to the attention of the international community. Archbishop Tutu headed up the Truth and Reconciliation commission which enabled a peaceful change of power in 1994. In recent times Archbishop Tutu has become increasingly critical of the ANC led government of South Africa. This latest condemnation however is his strongest criticism of the political leadership to date. Tutu left no doubt in anyone’s mind he is angered and disgusted with the behaviour of the leadership of the party and the government. The Dalai Lama’s visit coincides with major trade negotiations under way between South Africa and China. In this correspondent’s opinion, all trade with China should be boycotted both at home and abroad, while the state continues with its repression of innocent people. South Africa has little need for the cheap junk produced by what is no more than slave labour toiling under appalling conditions, while China has a greater need of South Africa’s raw mineral, paper and other resources.